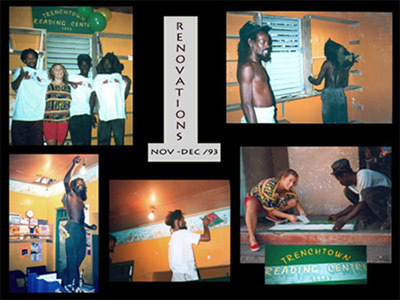 The Trenchtown Reading Centre was founded in December 1993 - a non-profit, secular, community based, and developed initiative - from the roots up. Library, School, and Community Cornerstone. A place where life is enriched by reading and learning. Emphasizing the exchange of ideas, critical thinking, literacy, education and life skills. Developed to encourage a broad range of educational activities and provide a place for community activities. The Centre continually adds to its collection & programs to provide a broad scope of material and educational experiences. The Centre provides countless children and adults with more, current, and otherwise unobtainable material, in a relaxed, welcoming and accessible environment. Laying a solid foundation to create the potential for personal, familial, and community well-being and growth. 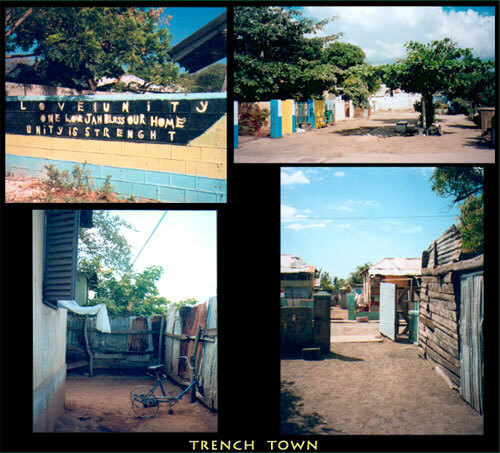 : Trench Town is a small area in the West Kingston ghetto enclave of Jamaicas capital. 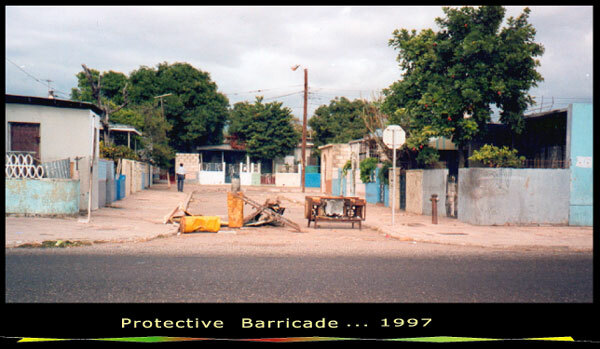 Trench Town, like other ghetto areas, has been abandoned and avoided by both the public and private sectors of society. It has been isolated and threatened by the surrounding gang violence and marginalization. 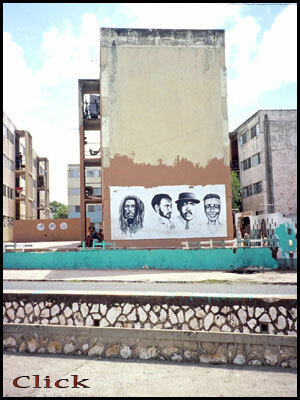 Trench Town has been synonymous with violence, fear, despair and other negative attributes of ghetto life. While, at the same time, it is recognized and respected worldwide as providing the Roots of Reggae Music (Unity, One love, Knowledge..) and home to many accomplished and world famous individuals. 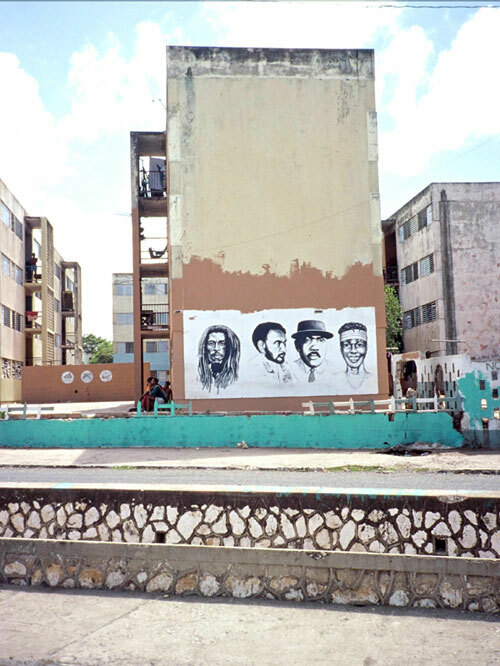 Trench Town is a neighbourhood struggling to be strong and safe, working together, trying to move forward, away from violence and despair, towards opportunity. are determined to change this. 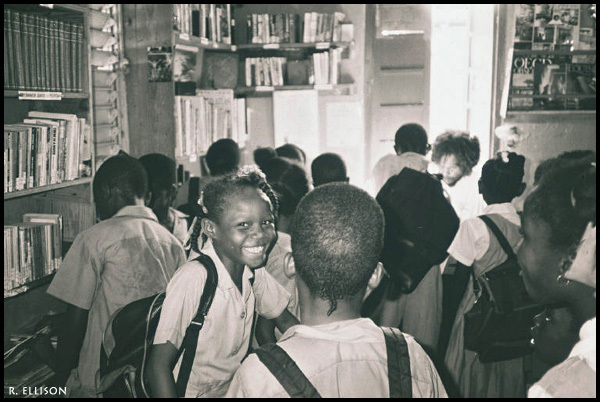 School is costly - books and supplies, uniforms and shoes must be purchased and often extra school fees. This places a great burden on struggling parents. Unable to attend when financial resources cannot be found children's education is often sporadic. 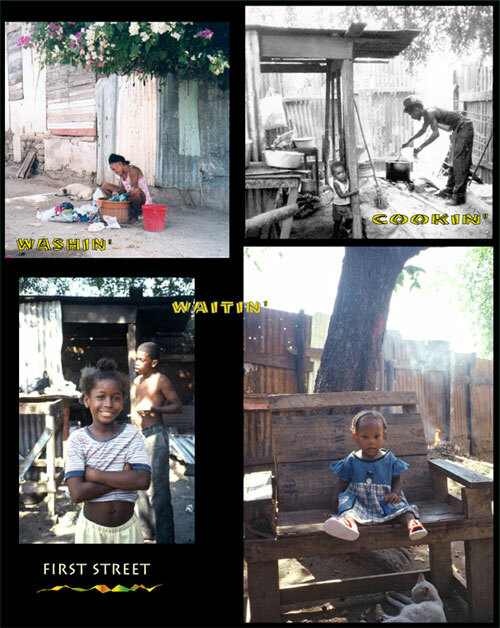 Jamaica's economy is suffering and the education system is under great strain. There is serious overcrowding, lack of materials, and often inadequate facilities. 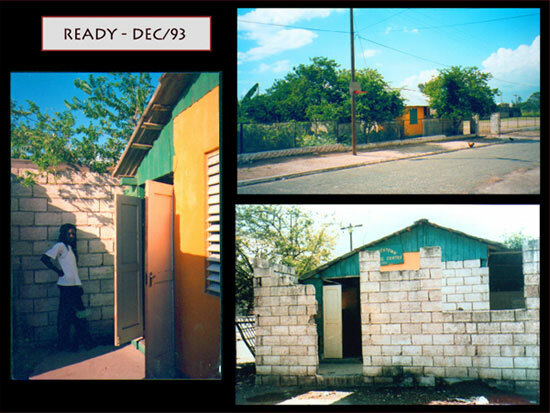 In Trench Town, November 1993, a group of us sat in Bob Marley's old yard reasoning, trying to find a path forward out of the cycle of violence, poverty and exclusion. choose, plan and succeed in finding a better way? We chose to focus on knowledge - it was time to improve literacy, learning, information and opportunity. It was crystal clear that the people of Trench Town would have to do this themselves. 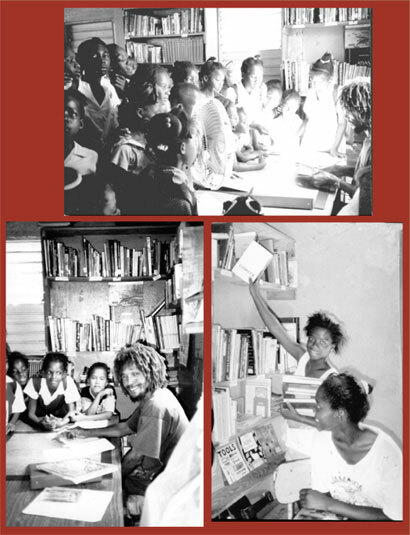 Out of the communitys strong roots and in response to this dialog came the Trenchtown Reading Centre. Exchange violence for the power of reasoning..
To think. To reason. To learn. To grow. create a different reality. Through ideas & the community working together other choices could be made. The discussion then took a practical turn. Where would the books come from? Where would they be put? What about the contents of the books? As the questions continued, we came up with the concept for a community based and controlled effort to promote literacy, learning and the exchange of ideas. Understanding that waiting for those outside the community to accept and support the project would take time, put community control in jeopardy, and perhaps even prevent the Centre from developing, it was decided that we would proceed on our own and solicit assistance as we progressed. The crucial element was to begin! this space would provide the perfect setting. disrepair but could provide a separate, well-monitored and easily accessible space. five weeks after the initial discussion, with great effort & conviction by all  roof, ceiling, windows and walls repaired, doors, shelves and lights added, inside and out painted. Later that evening we held a concert in the park. Many visitors and a band of well-known musicians celebrated, with Massive Dread hosting as MC & DJ. 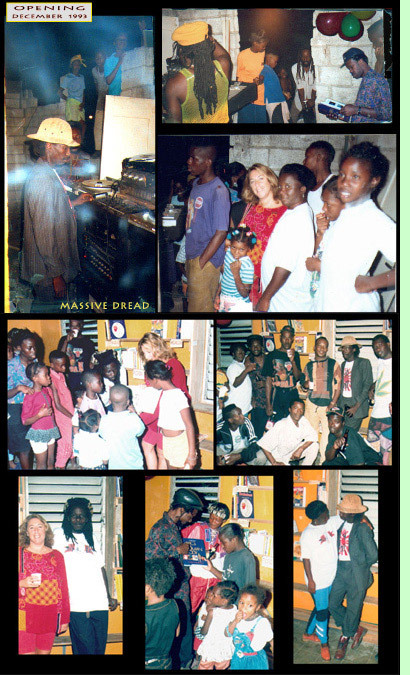 Massive Dread (Denis James) and Chubby (Vincent Graham) both, sadly, lost along the way, together with Michael Smith, Roslyn Ellison, Organs, Charmaine and Veego created the model, organized and setup the Reading Centre. 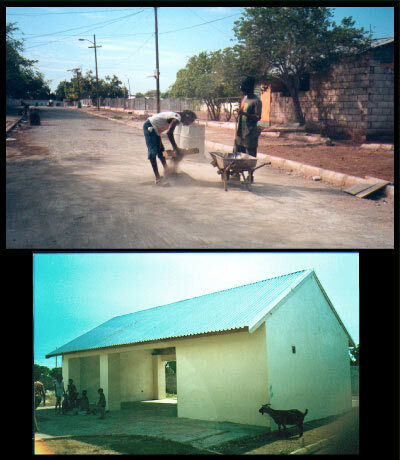 The building upgrades, ongoing operations, books and materials funded by R. Ellison. 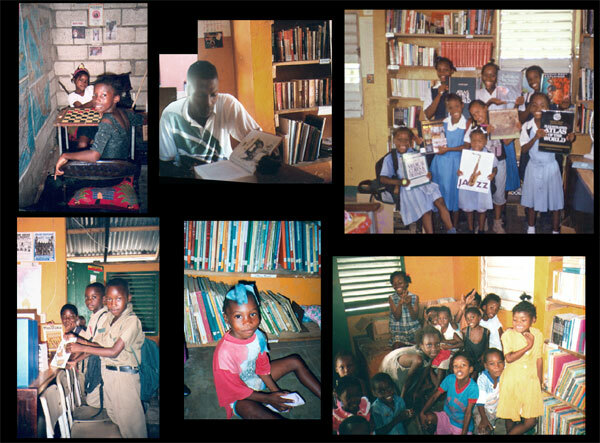 To support and develop the Centre R. Ellison in 1997 created the Registered Non-Profit, " Friends of the Trenchtown Reading Centre (FTRC)" in Canada. 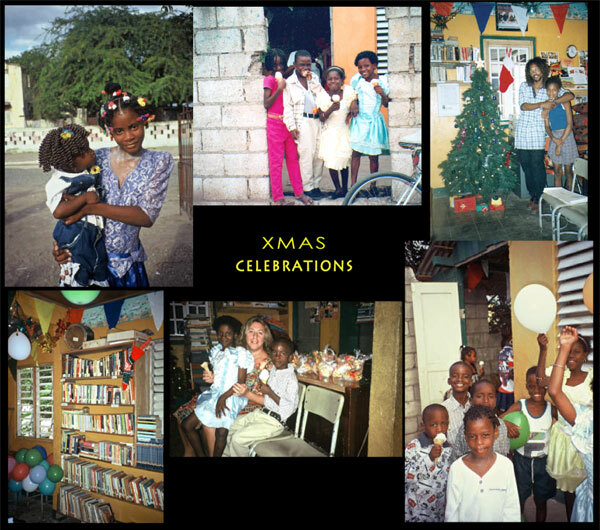 The Centre also received some support from various professionals, organizations, churches and individuals, inside and outside of Jamaica. programs and working on program development. Ziggy kept all aspects of running on a daily basis. 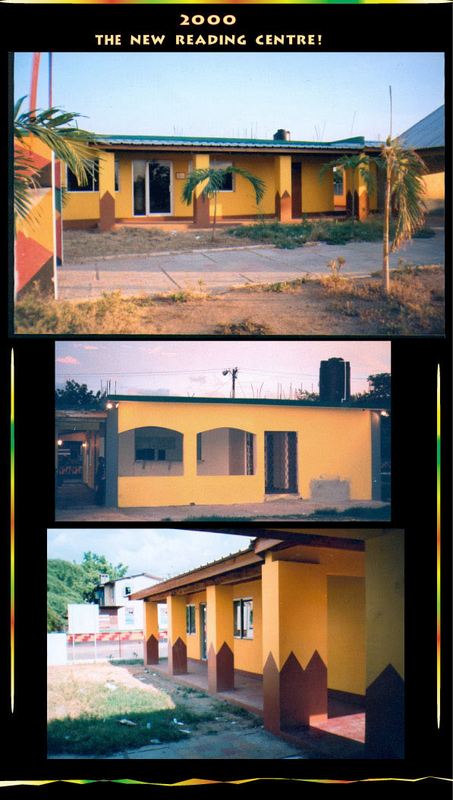 (a new building was putupin 2001, by 2005 however the Centre in disrepair. with little use. R. Ellison returned in 2005, together with FTRC and Carl Brown worked to refurbish, renew and expand the physical space, book collection and programs. Centre reopened in 2006 ~see updates page). The Centre quickly became a full-time concern and a focus for the community. A neutral place where everyone was welcome. 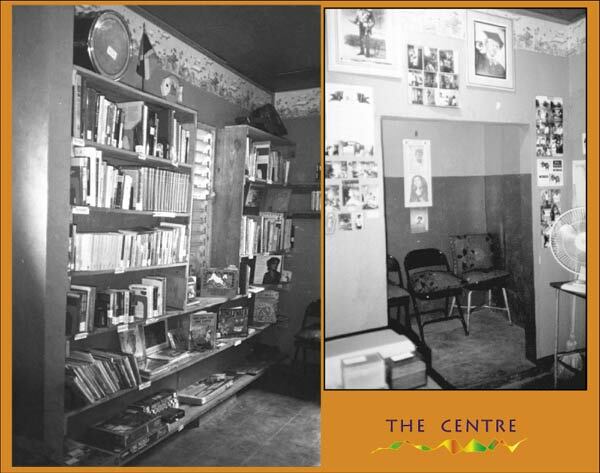 Throughout the years of violent instability in the area, when schools and transportation were shut down  the Centre remained open and growing, providing resources, programs and, more importantly, continuity and hope to the entire community. The response to the Centre from within the community was so positive we could do nothing but give it our all. 50+ coming each day to exchange books ! butalso a place where a variety of educational, vocational and community programs are facilitated. a comprehensive Children, Juvenile and Adult book collection. Providing for the diversity of the community's interests, need and abilities. Emphasizing current, culturally relevant materials as well as otherwise unavailable materials and information. The collections includes; Fiction, Non-fiction, Biographies, Nature, Health, Geography, Culture, History, Religion, Language, Sports, Music, Literature, Health and a large reference collection. 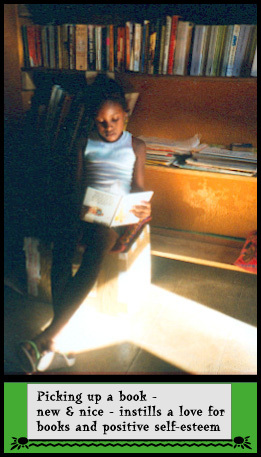 There is also a dedicated Early Literacy section and comprehensive collection of Afro-Centric titles in all catagories. Current books are important, as the text often reflects a more diverse reality. Recent books reflect a more global and inclusive reality. 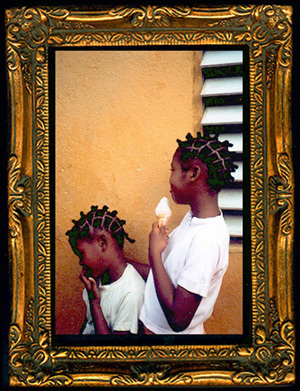 In childrens books the major impact is often the artwork - once again, a more global perspective, with African, Caribbean, Asian and Central American influences being well represented in current books. For children who have so little, picking up a book - new & nice - helps to instill a life long love for books and reading - and all that can bring, as well as having a positive effect on their self-esteem. for small spaces, chairs and materials were constantly shuffled to accommodate various activities. 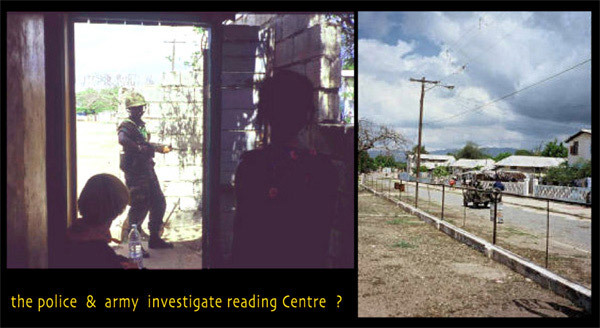 After much lobbying by the community, the government built a structure beside the Centre in May 1998.
space was left open. 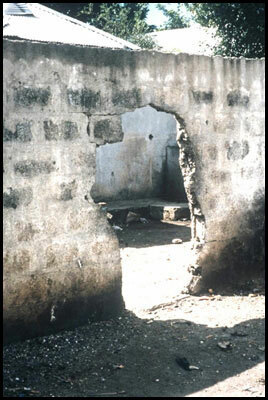 The lack of walls made it difficult to use efficiently, as neither materials, nor desks could be secured. formed in 1996. Advisors to the Board came from various sectors of the Jamaican and International community. ups, down to construct a new building. 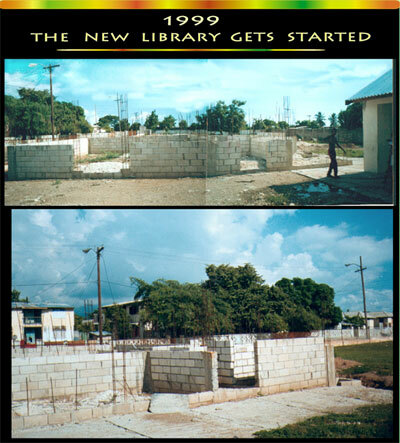 In 1999 the TTDA, JSIF and MP Omar Davies were instrumental in getting the new library builing completed. Unfortunately the new Library building, yard were in great need of repairs & refurbishment. Book collection severley depleted. Library was in disrepair and programs in limbo. 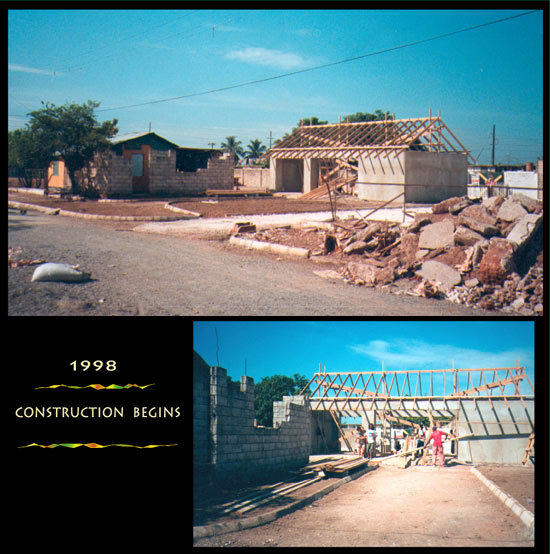 Spring of 2005 the TRC facilities were repaired, upgraded and expanded and book collection totally rebuilt! The adjacent Classroom Building was completed & the yard fenced and planted! ... no donation is too great or too small ..
ONE ONE COCO FULL BASKET .. one step at at time / every bit counts. Your help is essential ~ Please help make a difference! 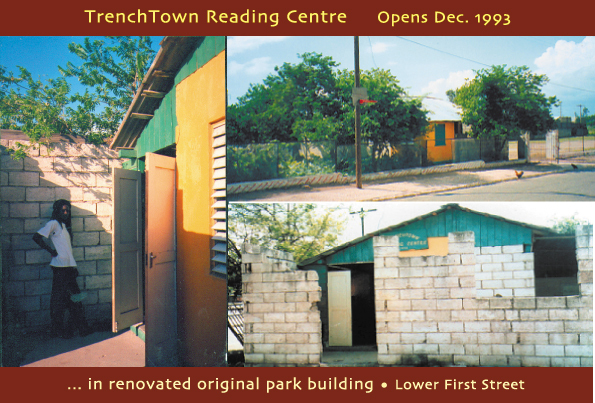 In 1997, R. Ellison created, 'Friends of the Trenchtown Reading Centre' (FTRC). A Registered Non-Profit Society, based in Vancouver, Canada ( international membership). Current events ... PHOTOS 2010 on ... Global Feedback. 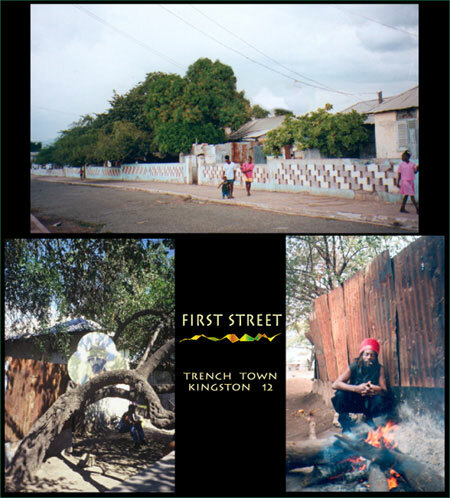 Trench Town has incredible energy, ideas and determination, despite realities of day to day life. PLEASE mark ALL contents: "Donation to TrenchTown Reading Centre"